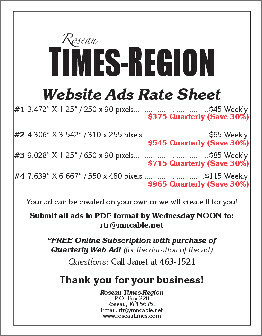 Email our office at rtr@mncable.net or call (218) 463-1521 for pricing information on boxed ads. Ask for Lisa or Carrie. You can send your prepared boxed ad to us via email or ask us to create the ad for you. 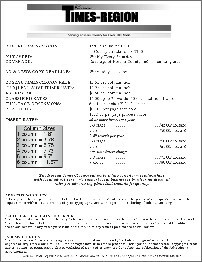 • Click here for our Print Advertising Ratecard, which contains sizes and specs. For information on placing your business ad on our website for more visibility, contact Lisa at (218) 463-1521 or send an email to rtr@mncable.net. • Click here for our Web Advertising Ratecard, which contains sizes and specs.